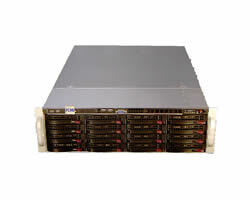 Acme H4-316D3 socket H4 short 3U server. 3U rackmount case with 700W power supply, gold level 80+. option to add a 700W power module for redundant function. 16 of 3.5" HDD bays ( w/ backplane hot-swap).